Australians spend over half a billion dollars a year on bottled water. Even though you can get it free from the tap. Generally, most of us don’t have to worry about the safety of the water we’re supplied with, but sometimes the chemicals the water authorities use can make the taste, shall we say... less than ideal. That’s where Häfele’s extensive range of water filters come in. 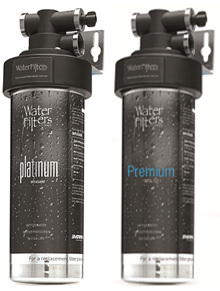 Made by Water Filters Australia, they’re the easiest and best way to ensure the water you drink is a beautiful drop. Häfele water filters inhibit chlorine, and the build up of lime scale without removing the good stuff - like fluoride and other healthy minerals. Best of all, the range includes a product for almost every need or project. Whether that’s under bench boiling water ambient water dispenser that fills 60 cups an hour, a three-way mixer tap, or a simple in line filter system to use in the home. Water filtration couldn’t be easier with Häfele.